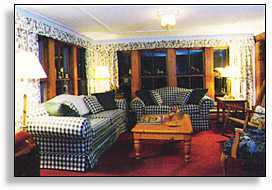 Located in the heart of the Green Mountains of Central Vermont in the quaint town of Mendon, is The Vermont Inn, a 1800’s country inn on five acres. Located only a convenient 10 miles from great skiing at Killington Resort, 5 minutes from Pico Mountain and a half hour from Okemo, The Vermont Inn is a great choice for the skier’s vacation getaway.Ask us about The Vermont Inn or share visit comments. To feature your business, contact us. Hidden by the visible eye, The Vermont Inn is located off Route 4 in Killington, nestled on six acres of the Green Mountains. When you drive into the well-paved driveway, you unexpectedly find yourself at the steps of an old country home and all it’s charm. The idea of this being a formal establishment is immediately abolished. The welcoming trees and flowering plants relax any worries away and entrance you to a cordial and comfortable atmosphere. One is greeted by the sight of lemonade in a frosty pitcher with warm cookies, surrounded by cushy sofas, and armchairs. Don’t be surprised to find a cat or two lounging in the cozy foyer. The Vermont Inn may not be a Victorian Mansion but it allows the innkeepers and their guests to lounge around in casual clothing. Accommodations are priced moderately so guests don’t have to hold themselves to a certain social status to enjoy the charm of a family-run inn, with excellent service, and superb cuisine. The Vermont Inn offers two rates, summer and off season, and fall and winter. Most of the lodging rates are based on double occupancy. 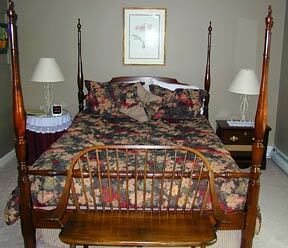 The inns rooms hold queen size canopy beds, and have private baths. Fireplaces are available in many of the deluxe rooms. They also have a handicapped-accessible room. In addition, there is a sauna, hot tub, tennis court, and swimming pool. The Inn hosts many weddings and reunion events. These can be viewed in their photo albums at the main lounge, which offers an intimate setting with a wood stove and beautiful mountain views. Quiet times can also be shared in the screened porch, reading room, or game room. Greg and Megan Smith, the owners of the Vermont Inn, offer their guests many alternatives by providing “what to do”, literature. Summer and fall activities include golf, horseback riding, kayaking, fishing, alpine slide, and visiting the Killington Fun Park. Their road, Cream Hill, is also a popular place to go for a hike, bike, or picnic. The Inn was originally built as a farmhouse in the 1840s and later operated as the Sunnycroft Lodge. In 1962 it was renamed The Vermont Inn, under new ownership and was run year round as a ski lodge and restaurant. In 1995, the Smith family took over the property. To learn more about the Vermont Inn or to make a reservation, please call 800-541-7795, or 1-802-775-0708 or visit them on the web at www.vermontinn.com. – Thanks to Ms. Mona Karia.